Efforts currently underway to solve the Cyprus issue, relations between the US and Cyprus as well as the role of Cypriots overseas were the main issues on the agenda of the 42nd Conference of the Cyprus Federation of America, which took place in New York on Saturday. The conference also included a panel discussion for the Cypriot Youth and its role in the community and the promotion of the Cyprus issue. Endy Zemenides was the moderator, while members of the Federation’s Youth (CyCA) exchanged experiences. The Conference was addressed by Greek Cypriot negotiator Ambassador Andreas Mavroyiannis, who pointed out in his speech that the Greek Cypriot side embarks on a new round of negotiations with the Turkish Cypriot community hoping that circumstances will allow something good to come out. 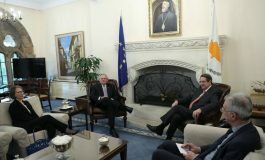 Participants to the meeting were also briefed by Cyprus Permanent Representative at the UN, Ambassador Nicos Emiliou and Cyprus’ Ambassador in Washington George Shakalli. Mavroyiannis said that “it is important to do our utmost to solve the Cyprus issue”, pointing out that the solution must be viable and just. Referring to the talks which resumed in February this year, following an agreement on a joint communiqué between the leaders of the two communities, the negotiator said that although there is a certain euphoria, there is nothing tangible which would allow to say that there is actual convergence of positions between the two sides. 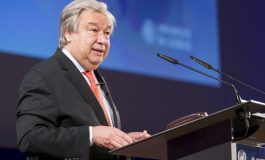 He referred to an increased interest shown by the international community and especially the US in resolving the issue, saying unlike the past when Cyprus was regarded as a “thorn” in Greco-Turkish relations which caused problems in NATO’s southeastern flank, this time round, for the first time, Cyprus in itself has assumed a special significance for Washington. Mavroyiannis also referred to important developments in the geostrategic scene, which go beyond the recent discovery of hydrocarbons in Cyprus’ exclusive economic zone. These prospects, Cyprus’ EU membership and its role in Europe’s energy map are decisive factors, he noted. Nicos Emiliou, the Representative to the UN in his speech, said that all efforts are made to terminate the illegal occupation of Cyprus and reunite the island, divided since the 1974 Turkish invasion. Ambassador Shakalli referred to the role of Cypriots abroad, noting that it is of great importance for the government to support and assist the various overseas organizations. PSEKA President Phillip Christopher, addressing the Conference, referred to the events and demonstrations that will take place this summer for the 40 years of illegal Turkish occupation of Cyprus. He also said that it is extremely important for all Cypriots abroad to remain united because this is how they will better serve the interests of their country. Present at the Conference on behalf of the Cyprus President was Commissioner for overseas and religious groups’ affairs Kate Clerides who expressed the gratitude of the government for the important role the Cypriot community plays in the US. 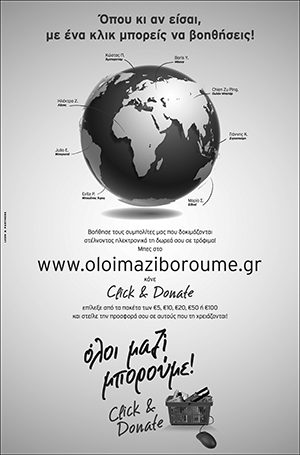 Clerides said that Cypriots overseas are the best Ambassadors of their country. She also said that developments in the Mideast and the Ukraine have underlined even more the important role of the hydrocarbons reserves in the Eastern Mediterranean. She pointed out that the government monitors carefully these developments. Clerides also referred to her contacts with Jewish organizations in NYC, adding that soon she will be traveling to Israel to meet officials from the Ministry of Foreign Affairs. She talked about the role of the youth federations of overseas Cypriots, saying that it is important for the younger generation to learn their language and traditions and remain active in promoting the Cyprus issue abroad. Kate Clerides, Cyprus Commissioner for overseas and religious groups’ affairs, has discussed, during her meetings in New York, ways to strengthen Cyprus’ bilateral relations with Israel as well as ways to enhance ties between the Diaspora of the two countries. Clerides is in NYC to represent the government at the Conference of the Cyprus Federation of America and to attend the events for the celebration of Cyprus EOKA uprising against British colonial rule and the Greek Independence struggle of 1821 against Ottoman rule. She has met with David Harris of the American Jewish Committee (AJC) and Rabi Arthur Schneider. With Harris, who was recently in Cyprus for a visit, the Commissioner discussed ways of cooperation with the various Jewish organizations in the US as well as the signing of a protocol of cooperation with the Jewish Diaspora. Clerides is set to visit Israel soon to meet with officials from the Israeli Foreign Ministry.